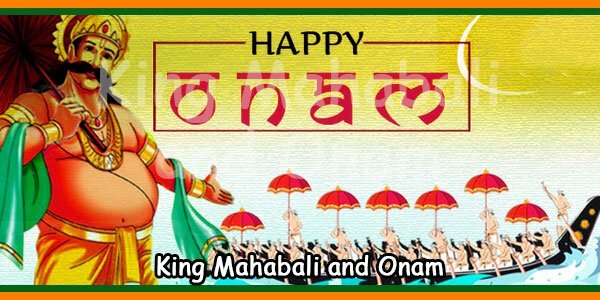 Legend of King Mahabali is the most popular and fascinating of all legends associated with Onam. Every year, Onam festival is celebrated when King Mahabali visits the state of Kerala. The festival is celebrated with fervour because King Mahabali was tremendously respected by his subjects. 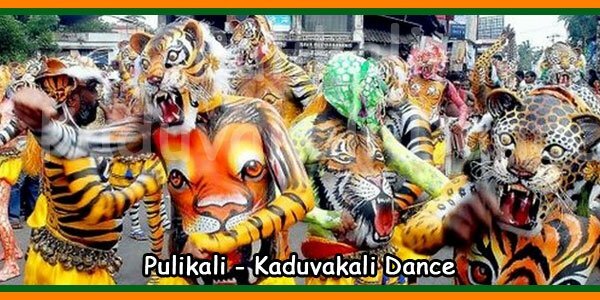 King Mahabali is popularly known as “Maveli” and “Onathappan”. 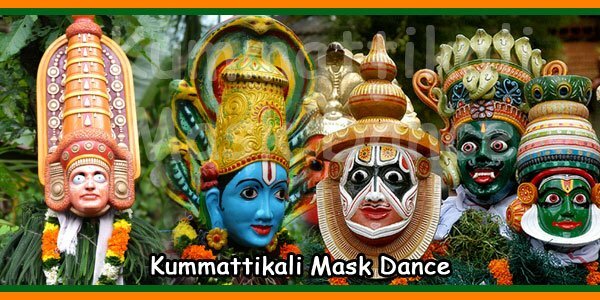 According to the story, the beautiful state of Kerala was once ruled by King Mahabali, an Asura [demon]. King Mahabali was greatly respected in his kingdom. He was considered to be wise, judicious and extremely generous. During the reign of King Mahabali, Kerala witnessed its golden era. Everybody was happy in the kingdom. There was no discrimination on the basis of caste or class. The rich and the poor were treated equally. There was neither crime nor corruption. People did not even lock their doors because there were no thieves in the kingdom. There was no poverty, sorrow or disease during the reign of King Mahabali. Everyone was happy and content. It may be noted Mahabali was the son of Veerochana. He was the grandson of Prahlad, the devout son of demon King Hiranyakashyap. Mahabali had a son called Bana, who became a legendary king in his own right. Bana was popularly known as Banraj in central Assam. Mahabali belonged to the Asura [demon] dynasty yet, he was an ardent worshiper of Lord Vishnu. King Mahabali was brave, had strength of character was entitled “Mahabali Chakravathy”, the King of Kings. Observing the growing popularity and fame of King Mahabali, the Gods became extremely concerned and jealous. The Gods felt threatened about their own supremacy. They began to think of a strategy to get rid of the dilemma. Aditi, the mother of Gods, decided to curb the growing reign of Mahabali. The Gods wanted to maintain their own supremacy. Aditi approached Lord Vishnu [the preserver in the Hindu trinity] whom Mahabali worshiped. It was said that Mahabali was very generous and charitable. Whenever anybody approached him for help or requested for anything he always granted. In order to test Mahabali, Lord Vishnu transformed to a dwarf and a poor Brahmin called Vamana. In his disguise, Lord Vishnu came to the Mahabali’s kingdom. Mahabali had just completed his morning prayers. He was preparing to grant boons to Brahmins. Disguised as Vamana, Lord Vishnu said that he was a poor Brahmin. He requested for a piece of land. The generous King mentioned that the Brahmin could have as much land as he wanted. The Brahmin said that he just wanted as much land as could be covered by his three steps. The King was surprised to hear but he agreed. A learned adviser of the King, Shukracharya had sensed that Vamana was no ordinary person. He tried to warn the King against fulfilling the promise. But, the generous King replied it is sinful for him not to keep his word. King also asked the Brahmin to take the land. The King could not imagine that the dwarf Brahmin was Lord Vishnu himself. As soon as King Mahabali agreed to grant the land, Vamana began to expand. Vamana eventually increased himself to the size of cosmic proportions. The Brahmin boy covered the whole of earth with his first step. Vamana covered the whole of the skies with his second step. Then, he asked King Mahabali where the space to place his third foot is. By then, the King realised that Vamana was no ordinary Brahmin. His third step would destroy the Earth. King Mahabali, with folded hands, bowed before Vamana. The King requested him to place his last step on his head to keep his promise. Vamana placed his foot on the King’s head and pushed him to patala, the nether world. There, the King requested Vamana to reveal his true identity. Then, Lord Vishnu appeared before the King in his person. Lord Vishnu informed that he came to test the King who won. King Mahabali was pleased to see his Lord Vishnu who also granted him a boon. King Mahabali was very much attached with his Kingdom and people. He requested that he be allowed to visit Kerala once in a year. Lord Vishnu was moved by the Kings nobility and was pleased to grant the wish. Lord Vishnu blessed the King saying that even after losing all his worldly possessions, he would always be loved by Lord Vishnu and his people. 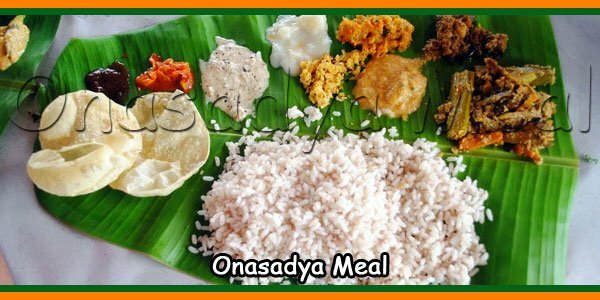 On the day of the visit of King Mahabali to Kerala, Onam is celebrated every year. This festival is celebrated as a tribute to the sacrifice of King Mahabali. Every year, people of Kerala, make elaborate preparations to welcome their King. The people of Kerala affectionately call the King Onathappan. People of Kerala please their King’s spirit by showing him that his subjects are happy. They also wish King Mahabali well. The second day, Thiruvonam is the biggest and the most important day of this festival. It is believed that King Mahabali visits his people in Kerala on the second day. Onam festivals are celebrated in Trikkakara. This place is 10 km from Kochi [Cochin] on the Edapally- Pookattupadi road. It is said that Trikkara was the capital of the mighty King Mahabali. Here, there is the famous temple of ‘Trikkakara Appan’ or ‘Vamanamurthy’, Lord Vishnu in disguise. Nowhere else in Kerala can one find a deity of ‘Vamanamurthy’. This fascinating legend is artistically illustrated at the Suchindram Temple in Kanyakumari district of Tamil Nadu.